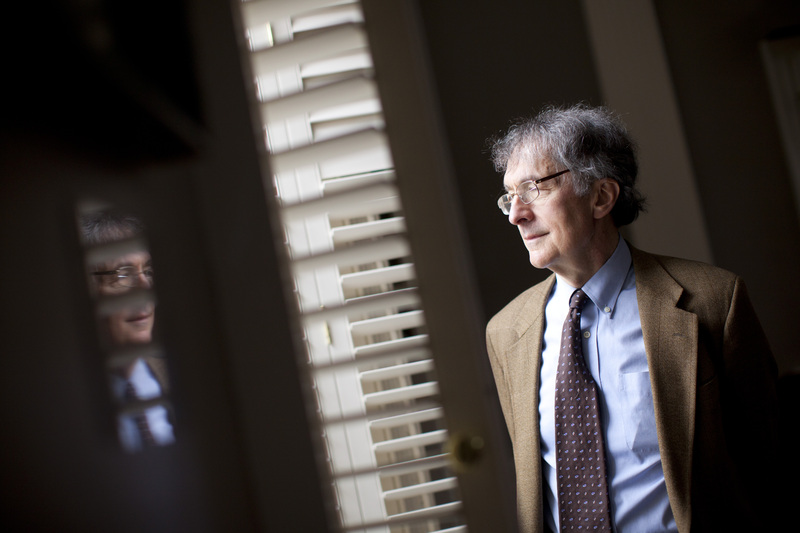 As the John H. and Elisabeth A. Hobbs Professor of Cognition and Education at the Harvard Graduate School of Education, Senior Director of Harvard’s Project Zero, and author of more than 20 books, Howard Gardner is one of the most respected voices in the field of developmental psychology. His work on multiple intelligences deeply resonated with educators more than 30 years ago and continues to have a profound impact on the sector today. While he may be best known for this theory, he has also served as co-director of the Good Work Project, a MacArthur Foundation funded project that explores the ethical character of young people’s activities in the digital world, for the last two decades. Most recently, Gardner has focused his attention to the reframing of three long-standing virtues – truth, beauty, and goodness – in a digital age, closely examining the issues of identity, privacy, ownership, and trustworthiness that surface as youth engage with digital media. We spent a few moments with Gardner to get a better understanding of how the networked era in which we live has been reshaping our view of ethics and to what extent these changing perceptions will influence learning and the future of education. Schooling, in terms of people going to a building from 8:00am to 3:00pm, is going to be less and less prevalent. Education is going to be lifelong. It’s going to start very early, and as long as people are active, they are going to have to keep learning. It’s very different than from a century ago when a person attended high school, if that, and he/she was set for life. A lot of education will take place via distance. We don’t yet know the pros and cons of distance learning with young kids. I certainly think human face-to-face interaction is very important, but we are going to have to demonstrate that to skeptics. Skeptics will say that if we can do distance learning with a 3-year-old, then that’s the way it should be done. People who believe in face-to face learning and older people who believe in residential education, as I do, will have to show that it has benefits that distance learning does not. Some of the negatives connected with both distance and face-to-face learning (e.g. cheating, bullying) will also have to be dealt with. They wont be able to be swept up under the rug. The way I think about good is that it pertains to how people relate to one another. For millennia, people have related directly face-to-face in a neighborhood. I call this neighborhood morality, and there’s no reason to think that’s going to change. The Ten Commandments and the Golden Rule tell us what we need to know. But our relations to people who don’t live in the neighborhood and with whom we can contact remotely, whether it’s people in the community or elsewhere around the world, is going to be totally different. We couldn’t even envision 20 years ago that we could contact anyone in the world and they could contact us. How has the changed conception of good impacted the way you define “good participation” and “good work”? There have been all kinds of assumptions about what it means to be a citizen and belong to a community. Those things don’t disappear in a digital age, but they take on a totally different color when things are being done digitally. We no longer know the size of the community with which we are communicating because we can basically contact anybody. The digital world is like the Wild West. The assumptions we had about privacy or identity can’t simply be transplanted on block to the digital world. They have to be recomputed and reconfigured. As a national and global society, we’re in the process of doing that right now. What it means to belong to a community. We posed dilemmas to youth to figure out what their understandings are and what kind of guidance they might want or need. For example, almost all the kids we have observed download content they shouldn’t. If you ask them why, they will respond with, “Well it’s easy to do it. Everyone else is doing it.” We then ask, “Why shouldn’t you do it?” They respond, “You might get caught and get punished.” It’s a completely consequentialist view, but in fact there are very good reasons why intellectual property should be respected, why you shouldn’t quote people without permission, and why you should give credit to somebody when the idea comes from him/her. On the other hand, we also note that if there is an op/ed in the newspaper from President Obama, we know he didn’t write it. Someone else wrote the piece, so it’s very difficult for kids to understand why they need to give credit when the president is using someone else’s words. One of the interesting things that has emerged from our research is even kids who are immersed in the digital world feel they could use more guidance and more mentoring. They tend to talk about how to make use of information sources, but if we probe, we find that they do not know much about privacy or intellectual property. Mentoring is very important here. Mentoring used to be by someone who was old, who lived in the neighborhood, and who knew a lot, but now in many ways young people know more about the digital landscape than older people. On the Internet, no one knows how old someone is, so the mentoring is going to occur with people who are appealing online. Whether or not those people are wise is a separate question. What is your hope for truth, beauty, and goodness in a digital era? I’m a believer in the old virtues. We shouldn’t eliminate privacy. We should respect intellectual property, but we have to make the case anew perhaps with more vivid examples than we would have had to do in the past. For one thing, this isn’t directly traceable to the digital media, but young people often make entirely different assumptions from older people. One of my favorite examples comes from a few years ago when the Dean of Admissions at MIT was summarily fired because she had lied on her resumé. It was obvious to people like me that you can’t be choosing other people for a position that looks at resumés if you lied on your own. But in a group of students almost no one thought the person should have been fired. They said, “She was doing a good job so what’s the problem?” Or they stated, “Well, everyone lies on their resumé.” The assumption that students would think it’s bad to lie on a resumé isn’t something we could assume. It’s so interesting. What does it mean if everyone just lies wantonly on his/her resumé or, as they would say, “exaggerates”? Obviously the education process has to begin in a different place. It needs to begin at why you should tell the truth about yourself. What keeps you up at night [in regards to education, youth, and society]? Katie Davis and I have a book that is now in press called The App Generation. In it we talk about how young people now more or less expect there will be apps for everything, and we make a distinction between “app dependent” and “app enabling.” App dependent means you are always looking for an app, and if you can’t find it, then you don’t have the energy to pursue it. These days, kids want things quickly. They want things now. App enabling means it helps you do something, but it opens you up to do new things for which there may or may not be an app. What keeps me up at night is the thought that we have a society where we not only have an app for everything, but people think of their lives as a set of apps. Well first I have to get into college. Then I have to do my stint at Teach for America. Then I have to go work for McKinsey. An app life to me is very depressing. Whether apps will be freeing or put us in chains is something that worries me. How has entering the education conversation from a psychologist viewpoint shaped your most recent work? Inevitably the lenses, which are ground when you’re becoming professional, have a lot of influence on you, and as a psychologist I do think a lot in terms of the individual and what he/she can do. If we take something like good work or good citizenship, my view would be the buck stops with the individual. But many people think that the way the institution is set up and the way our laws are set up directly determines benign or malignant forms of behavior. If you asked me — stepping out of my psychologist role — how could we promote ethical behavior, I would say we should have quite strict rules and quite clear penalties for people who behave unethically. But just because we don’t have these rules in the United States doesn’t leave the individual off the hook. The current cheating scandal at Harvard is a wonderful example. There were many, many people who said we should exculpate all the students for various different reasons: the teacher wasn’t any good; there were a lot of open book tests; there was a lot of collaboration etc. I say “nonsense.” Every student knows the difference between something he copies from someone else and something he has done himself. Certainly every Harvard student knows that. If they were reading about someone else, they would definitely see the difference. This is where I am a psychologist; I believe in individual responsibility, not just in blaming the institutions or laws or “others.” Of course, each student’s case needs to be judged individually. Are there any particular areas of research you’re probing at the moment? I am currently trying to raise funds to do a project with my colleague Richard Light, who is a well-known scholar in education, on liberal arts in the 21st century. We’d like to understand how to preserve the best of the liberal arts in a digital era — in an era that’s very pre-professionally-oriented, and in a time when education is much too expensive for most citizens. I believe in the liberal arts. I don’t want to see this form of education go down the tubes. We need to figure out how to reinvent liberal arts for the 21st century. Should we raise the funds, that’s going to be my next big project.